Following the success of the Spring/Summer 2014 daily bags made of precious materials like crocodile, ostrich, deer and saffiano leather available in various colours, the celebrated Umbria maison is now launching a new glamorous rock line, Black Block. 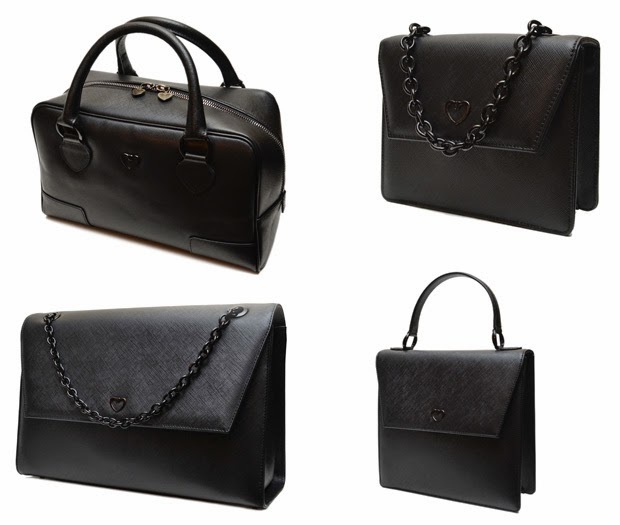 It is a dark collection in which black predominates in the leather, the inside linings, the logos and enamelled shoulder straps.Shapes vary considerably, from the three “royal” sizes, Standard Queen, Princess, Royal to the Marilyn bag and the new trendy carry-all bag introduced by this line. 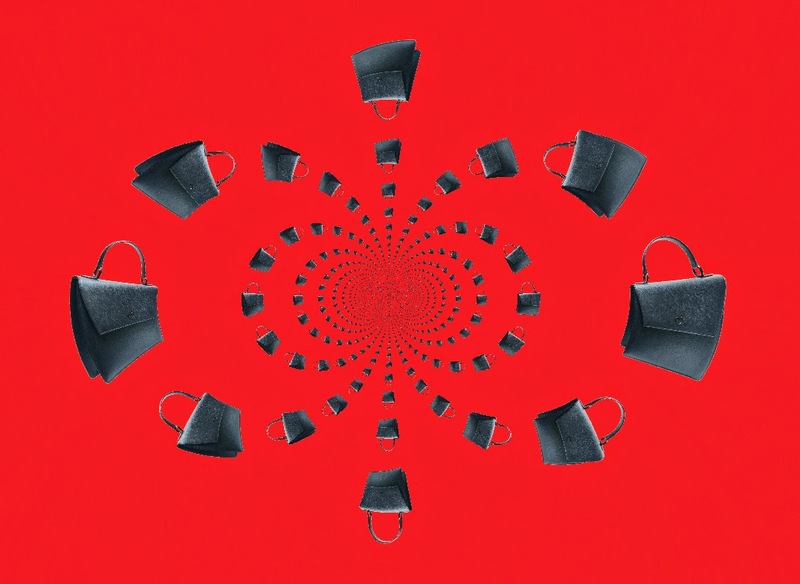 The main material is a prestige saffiano leather rendered more luxurious by a total black shine and enamel detailing.This line is bold and feminine at the same time, with bags for all occasions, day and night.